I will typically only make things when I can’t purchase them in stores. Good thing for me (or my husband) that they don’t sell paleo muffins or other paleo treats around Atlanta. Otherwise I’m sure I’d spend a small a fortune weekly. 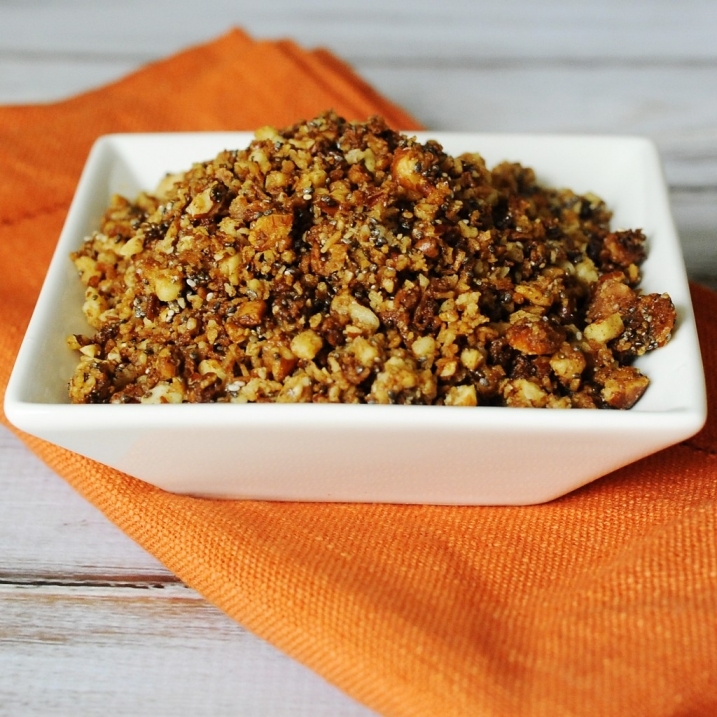 Yes, you can find gluten free granola, but there are not many that are also grain free. I recently saw that Whole Foods carried a grain free granola, but it was $10 fora mere 7.5 ounces! Wow. Not only am I not going to pay $10 for granola, but I can assure you, there really is no better granola than the recipe in my Super Paleo Snacks book. Buttery, crispy, crunchy, sweet and a touch of salty. But, don’t just take my word for it. The recipe is below 🙂 I hope you all enjoy it. 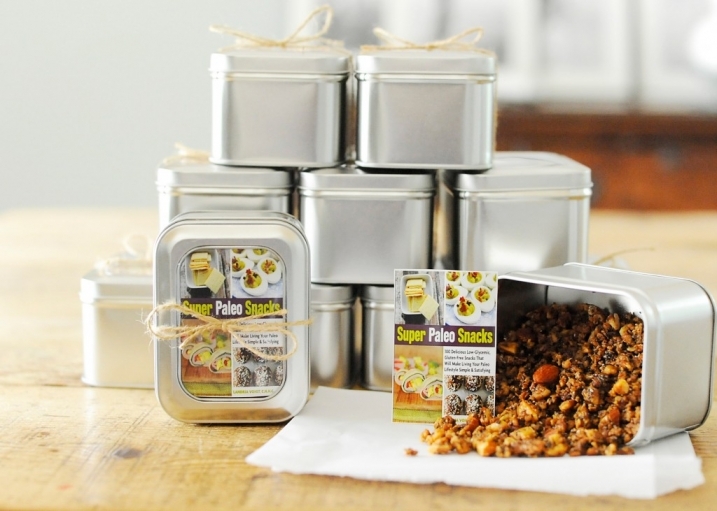 As you can see in the pictures below, I made and sent this granola to some high-profile food bloggers. If you guys know any influential, vocal foodies that I should send a copy to, please don’t hesitate to let me know. I would certainly appreciate it! Oh, and for what it’s worth, apparently Super Paleo Snacks is #1 new release in Appetizers on Amazon. I’m not exactly sure what that means, but I’ll take it!! Lastly, many of you have already purchased my book and some of you have even written me a review on amazon. From the bottom of my heart, I want to give you a big huge THANK YOU! Of course, if you liked the book and haven’t yet written a review, I’d be ever so grateful if you took 2 minutes to post a review on Amazon (or Barnesandnoble.com, or both by cutting and pasting, yes now I’m getting greedy!)? It could be a one sentence or even just a one word review. I would SOOOO greatly appreciate your help and support! It’s so easy to write a review, and it won’t take any time at all! Here is the link. Just click on “CREATE YOUR OWN REVIEW” and you’re good to go. I can’t wait to see the reviews. Thank you guys so much!!!! In a food processor, pulse the pecans, almonds, and walnuts until they are small pieces. Pour into a medium bowl with the shredded coconut and chia seeds; toss to combine. In a small saucepan over medium low heat, cook the maple syrup, butter, vanilla and salt until it starts to bubble. Pour the liquid mixture over the nuts, coconut and seed mixture and stir well. Spread onto the parchment covered baking sheet so it's not overlapping. Toss it ever so often so it cooks evenly. Once it comes out, allow to cool and it will get even crunchier. Enjoy!